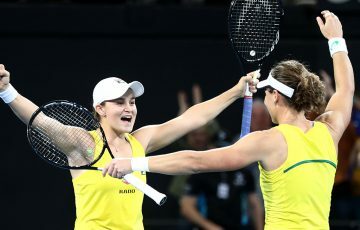 Following a fantastic year of consolidation on the WTA tour, world No.15 Ash Barty reflects on her achievements and admits she is eyeing even bigger things in 2019. If Ash Barty’s comeback season of 2017 was a resounding success, improving on that effort made 2018 even more impressive. It was a year highlighted by two WTA singles titles, her first Grand Slam title in doubles at the US Open with CoCo Vandeweghe, 46 singles match victories – the third best tally on tour – and a top-20 ranking in both singles and doubles, making her one of only two players to achieve such a feat. 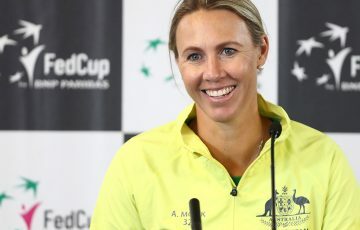 Her singles ranking reached its highest-ever mark of No.15 following her victory at the WTA Elite Trophy in Zhuhai last weekend – the biggest title of her career. And it followed her first full season back on tour in 2017 – during which she rose from No.271 to No.17 – after a 19-month hiatus. 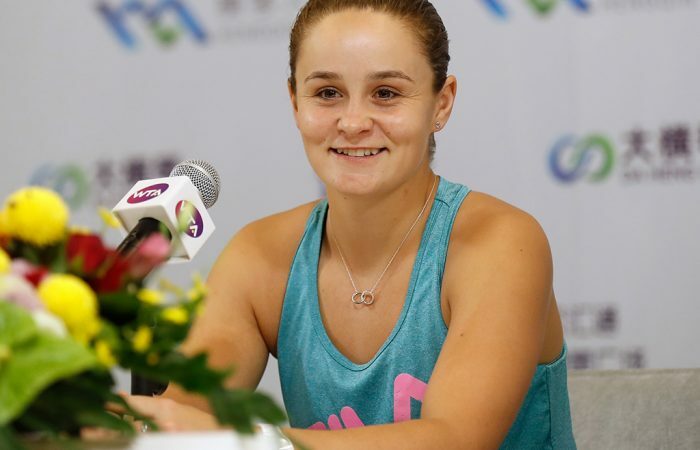 “Ultimately it’s been an amazing year, and to finish off with a career-high is unexpected, to be honest – I didn’t think I’d be sitting here (in this interview) at the start of this week,” Barty told the WTA Insider Podcast after her victory in Zhuhai. 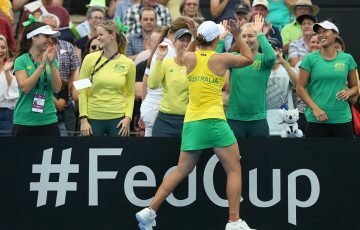 The manner in which Barty concluded her season was all the more impressive given her workload in a gruelling 10-month season. Not only did she play 65 singles matches (finishing with a record of 46-19) but she also logged another 36 doubles matches (28-8). 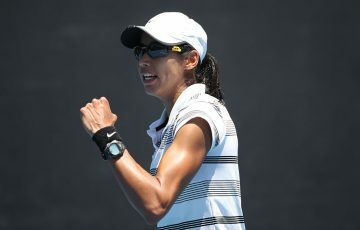 The Queenslander admitted during the Wuhan Open that the Asian swing was a tough ask for players. “Everyone knows that everyone’s tired and we can kind of see the light at the end of the tunnel, but we’re here – we may as well make the most of it,” she said. That she did. She went on to reach the semifinals in Wuhan which, coupled with her triumph in Zhuhai, meant she won eight of her 11 matches in Asia after the US Open. These were results helping Barty maintain a top-20 ranking for all bar one week of the 2018 season, something the 22-year-old admitted was one of her principle goals for the year. “I feel like I’m a top 20 player,” she said. “I obviously would love to push towards top 10, but it was really important to me to prove to myself that all the work that I’ve done with my team, and the foundations we’ve set up, are working. And they are. Sam Stosur, Barty’s countrywoman and a frequent practice partner, is an admirer. 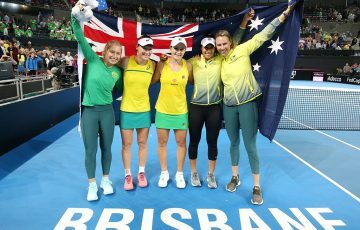 Given she enjoyed her best-ever Grand Slam results and won more matches and WTA titles in a single season than ever before, it is hard to imagine Barty could find anything about her tennis with which to be dissatisfied. Yet the self-confessed perfectionist more than once referred to “ebbs and flows” and “ups and downs” she endured during 2018. Behind the Numbers: @juliagoerges became the 3rd woman to crack the 400 ace mark in a season, while @ashbar96 reigned at the service line. In February she was forced to come to terms with the retirement of close friend and doubles partner Casey Dellacqua. At Roland Garros, she led the great Serena Williams by a set and a break before the American denied her a statement victory on Court Philippe Chatrier. Having finally broken through for her first main-draw win at Wimbledon, Barty appeared on track for the second week when earned points for a 5-1 lead over Daria Kasatkina in the first set, only to fall 7-5 6-3 in the third round. Injury niggles forced her out of Strasbourg and Beijing, while illness saw her skip New Haven. And she ended the season with a 1-6 record against top-10 opposition. Still, all of this simply reinforces in Barty the belief there is exciting scope for growth and improvement as she heads into 2019. “Some days it’s going to work for you, and some days it’s not. But the sun will still rise; I’ll still be here with a smile on my face and really enjoying what I do,” she told WTA Insider. “I made a promise to myself that when I decided to come back, it was a full commitment. I think I didn’t quite have that in my first time around and with this full commitment meant that I brought in the most genuine people in my team. I have that. We’ve continued to grow my team this year behind kind of the closed doors a little bit and it’s really helped. “I’m so proud of what I’ve been able to achieve, with the help of so many others – it’s certainly not just me, it is very much a team effort.